Work some animal prints into your wardrobe with this shift dress. 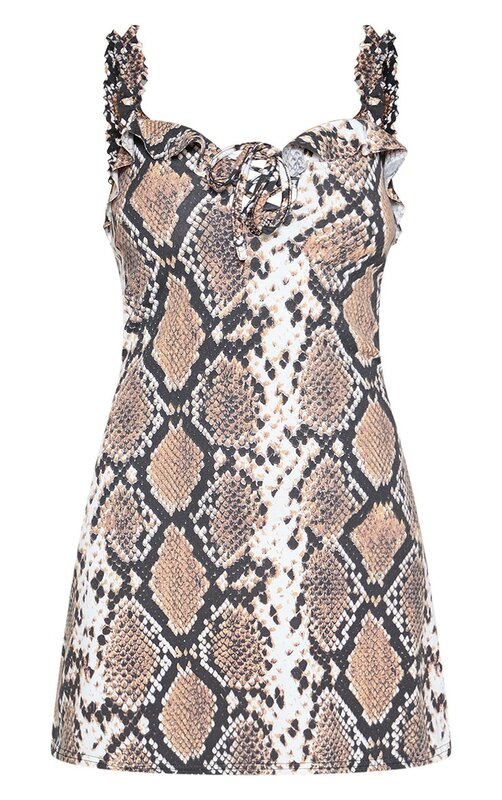 Featuring a beige snake print with a frill detailing. Team this with block heels and statement earrings for a totally insta worthy outfit.